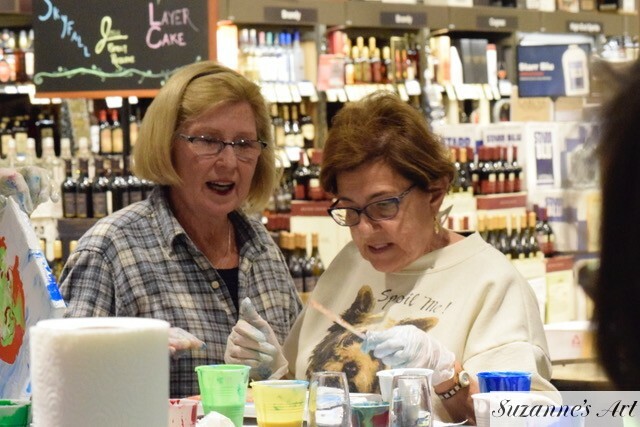 Great Paint Night Party held at Waldenwoods in Hopkinton, MA on March 14, 2019. 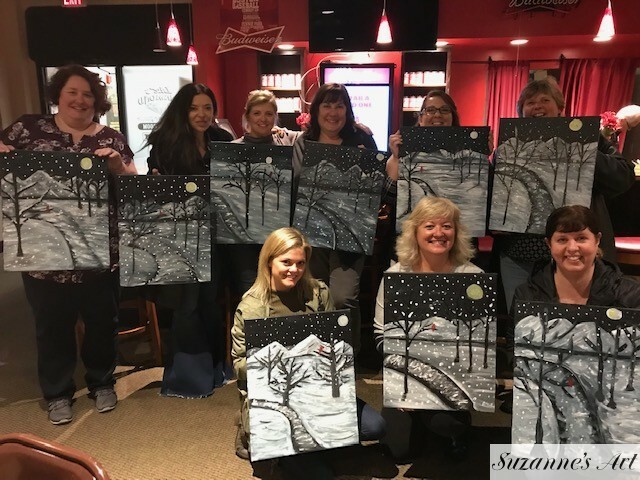 There were about 14 budding artists participating in the event and everyone walked away with their own original masterpiece. Great job to everyone and special thanks to Pam Wilkinson for helping to put this event together! 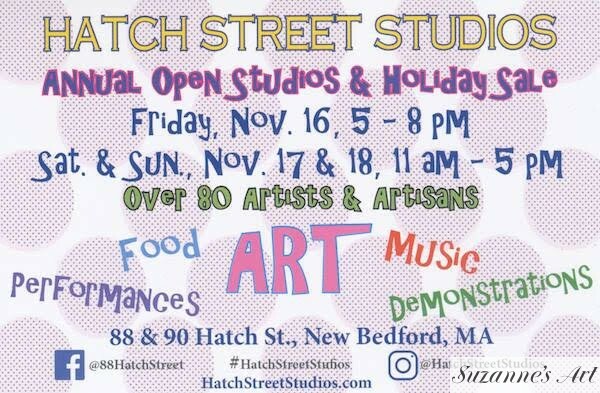 I have been invited to participate as a “Guest Artist” in the Hatch Street Studios Annual Open Studios Event Friday, November 16-18. My art will be displayed on the second floor near the elevators. Hope you can come see us as it should be a fun time with more than 80 artists & artisans participating. 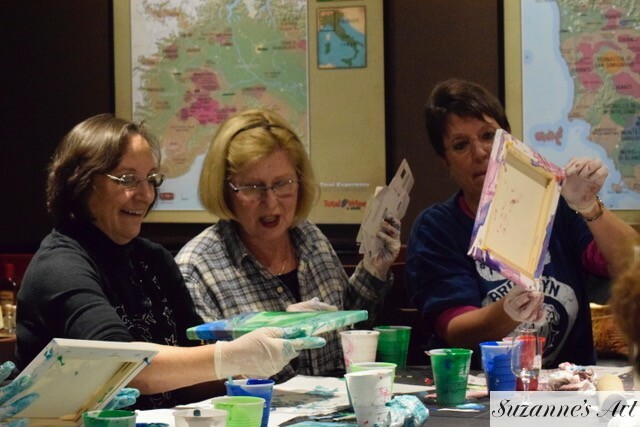 Taking a look at the picture, I guess you can tell everyone was totally engrossed in their paint pouring projects. The paint was really flying around, but by the end of the evening, everyone was able to take home several beautiful and unique masterpieces ready for hanging. Due to popular demand, we will be putting on another class of paint pouring techniques after the holidays, so please let me know if you would like further details as they get firmed up. 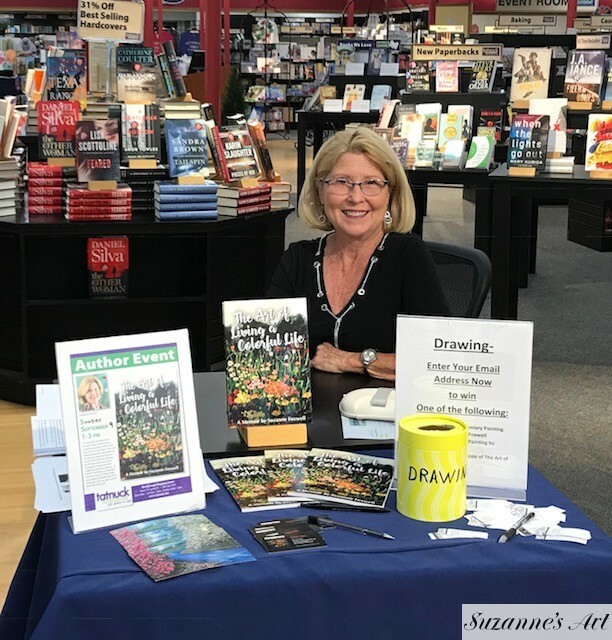 Please join us for a Meet the Author/Artist Event at Tatnuck Book Store in Westborough, MA on Sunday, September 9 from 1:00 – 3:00 PM. 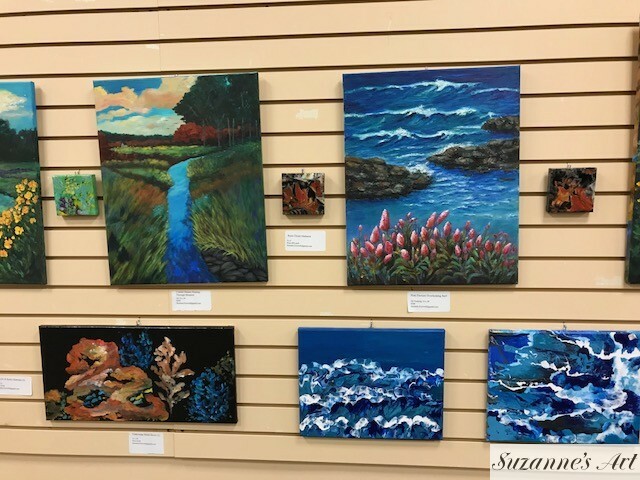 During this time you will have an opportunity to speak with Suzanne Foxwell about her book The Art of Living a Colorful Life and view some of her original paintings. 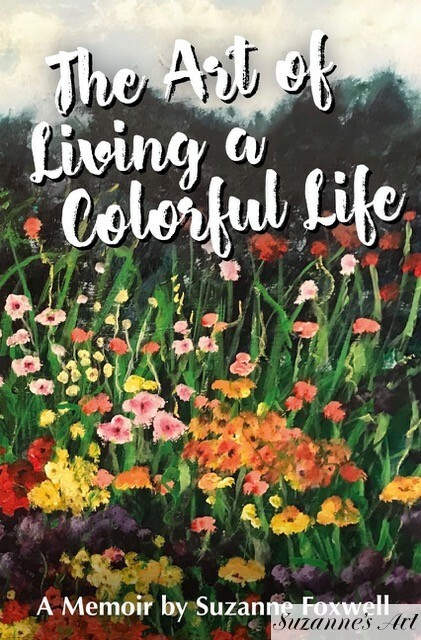 Her book covers early childhood up to present and is filled with colorful stories and examples of how art and life are reflections of each other. 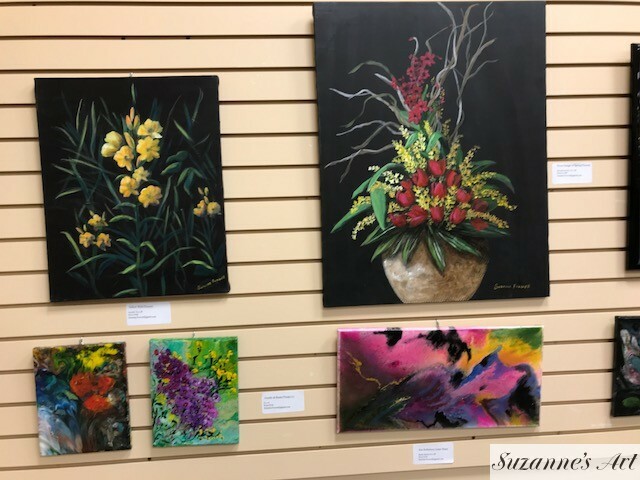 In the meantime, please visit our Event Room at the back of the store, where you will find over sixty of Suzanne’s works of art on display for her solo exhibit from August 12- September 9. 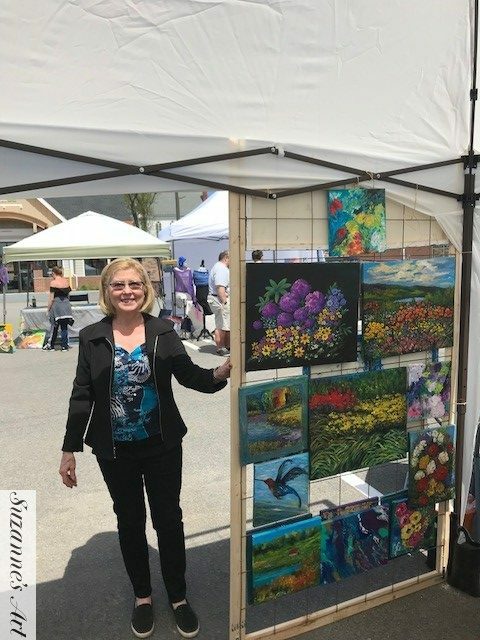 I participated in my first Arts & Crafts Show on May 5, 2018. It was awesome and I sold one of my favorite paintings. Of course, they are all my favorites and so hard to part with. 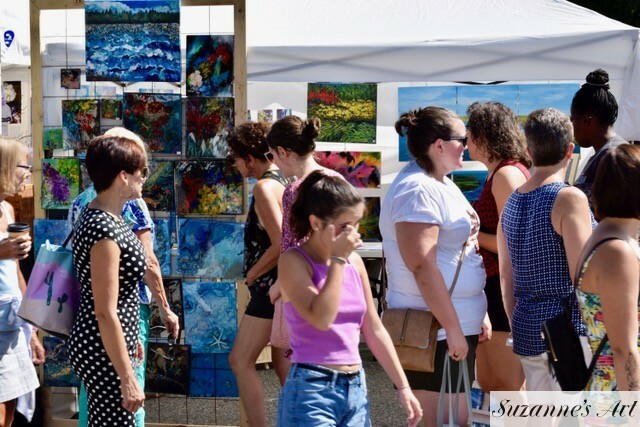 The show was well attended and had a total of 55 vendors lining the streets of Hudson. 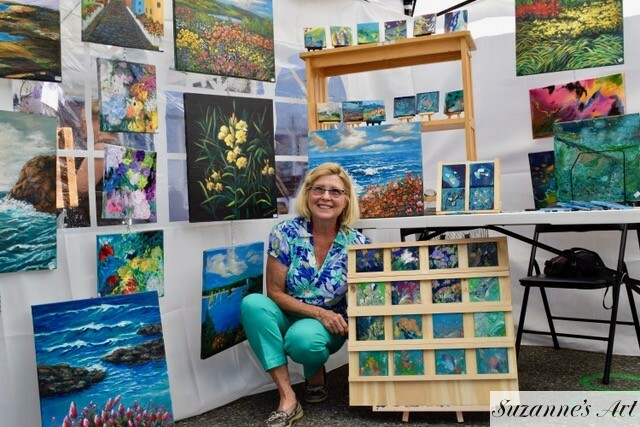 My next arts and craft show is going to be on Saturday, June 30 in Fairhaven Mass. I am really looking forward to that one, as we will be staying at our cottage in Fairhaven during that time. 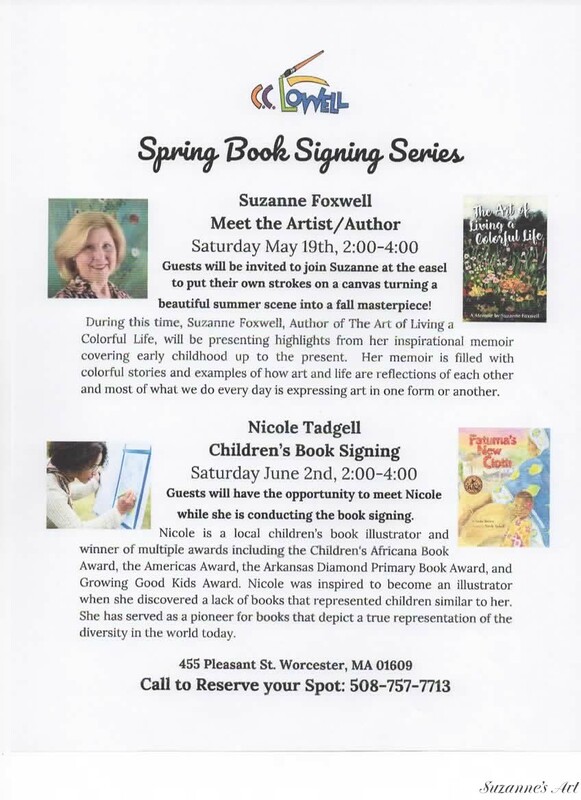 My next Meet the Author/Artist Event is going to be held at CC Lowell in Worcester, MA on Saturday, May 19 from 2:00 – 3:30 PM. 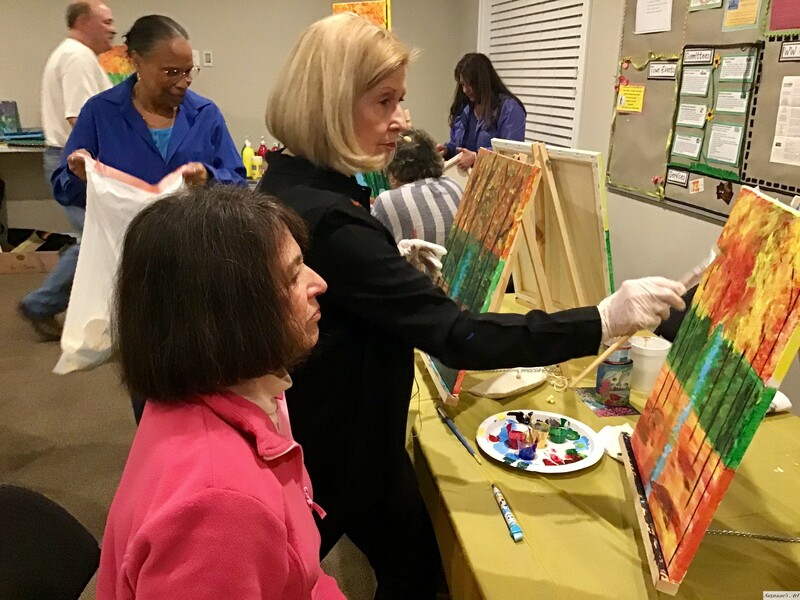 I will be using some of my paintings to demonstrate how our life’s color palette changes with the seasons, and guests will be invited to join me at the easel to put their own strokes on the canvas. Further details will follow!